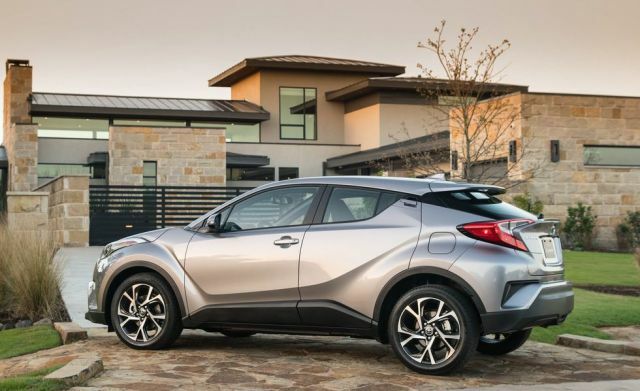 The forthcoming 2019 Toyota C-HR is the subcompact-SUV and the company`s first foray into this segment. 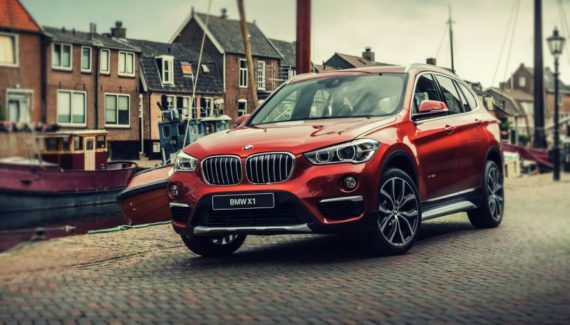 The new model is one of the best looking SUV on the market right now and it offers unique styling, a roomy interior with plenty of space, good handling and high-tech safety equipment. Unfortunately, there’s only one engine available in the offer and is connected to the front wheels through a continuously variable automatic transmission (CVT). The all-wheel drive or AWD system is not available in this year model. The price is reasonable and this SUV will be the main rival to the models Honda HR-V, Mazda CX-3 and Jeep Compass. 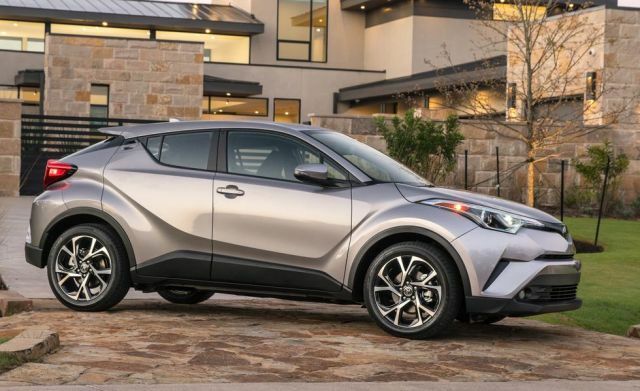 The new 2019 Toyota C-HR model will keep the same distinctive styling that will attract most of the younger population. As we look at the last year model, the new one comes with minimal changes. The same grill is present with the LED headlights and angled roof. However, the nose and hood of this model are similar to the Prius model. Also, the rear is very stylish and taillights are powered with the same LED technology. The upcoming SUV will be available with an R-Code option that will give buyers to choose the white roof with some colors from the pallet. 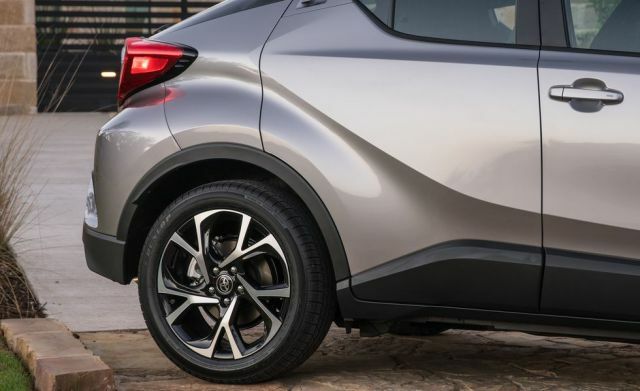 If one needs more features it can go for the XLE Premium trim that will add to this model fog lights and puddle lights that project “Toyota C-HR” on the ground. This projector is placed under the outside mirrors. The XLE Premium trim will offer the blind-spot monitoring system, lane assist and rearview camera. The interior of the 2019 Toyota C-HR is redesigned and the cabin of the new model looks better than ever. As per updates, the model will keep the same trims line. We will see three trims in this year model LE, XLE and Limited. The base one trim LE is the trim that will be good equipment. The buyers will get features like dual-zone automatic climate control system with pollen filter, leather steering wheel with audio, Multi-Information Display, voice-command and TFT Multi-Information Display of 4,2 inch with customizable settings. The XLE trim that is the recommended one is equipped with the leather-trimmed tilt/telescopic steering wheel with audio, leather-trimmed shift lever with the satin-plated shift knob, leather-trimmed heated front bucket seats with 8-way adjustable driver’s seat, Entune Audio with App Suite64 includes six speakers and 8-in. touch-screen. 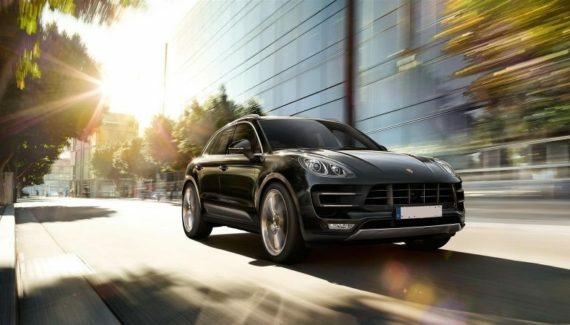 The last and the most equipment is Limited trim that includes remote keyless entry system with lock, push-button start, Entune Premium Audio, Android and Apple CarPlay and Destination Assist Connect system and many more. The newest model 2019 C-HR is the SUV that will be available with one engine options. The popular 2.0-liter 4-cylinder is lying under the hood. This unit will deliver to this model 144 horsepower and 139 lb-ft of torque. Also, the C-HR for the year 2019 does not offer all-wheel drive. The only system that will be in the offer is FWD. With this system, this SUV will give fuel consumption of 27 mpg in the city and 31 mpg on the highway. 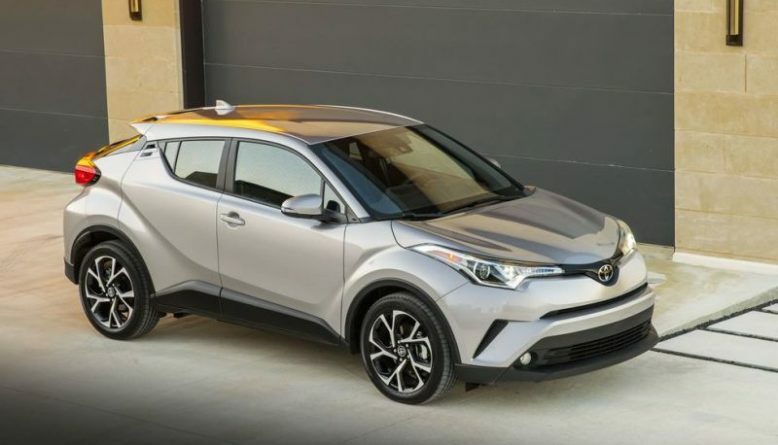 The base model 2019 Toyota C-HR will keep the same starting MSRP of $22,000. This price will also include destination charge that is around $1000. The trim like XLE will cost $1000 more than the current model that is priced $24,000. However, the top of the offer Limited trim will be the same with the starting price of $27,000. With this pricing, the new model cost slightly more than the models Nissan Kicks and Hyundai Kona. However, at the same price range, one can get models like Honda Fit, Jeep Renegade and Mazda CX-3.